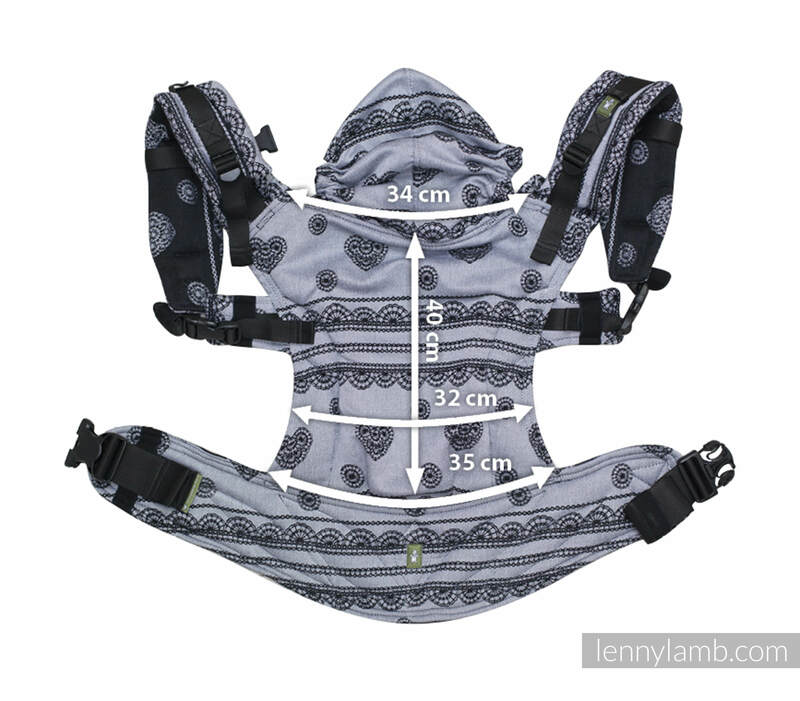 LennyLamb Ergonomic Carrier is a type of a structured carrier for which we have designed a special system of the straps and buckles so as to provide you with a carrier which assures perfect fit.This is a great carrier if you like the exact fit of wrapping, but want something quick and easy. This is the least padded or "structured" of the buckle carriers, as it is made from woven wrap material as opposed to a stiffer canvas. These woven wrap conversions are very lightweight and breathable.